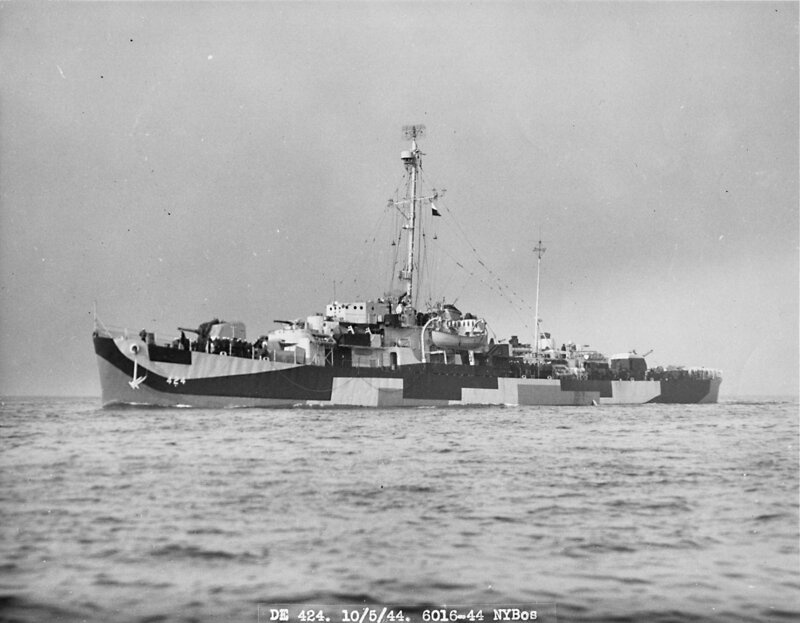 23 February 1944: Keel laid by the Brown Shipbuilding Co., Houston, Tex. 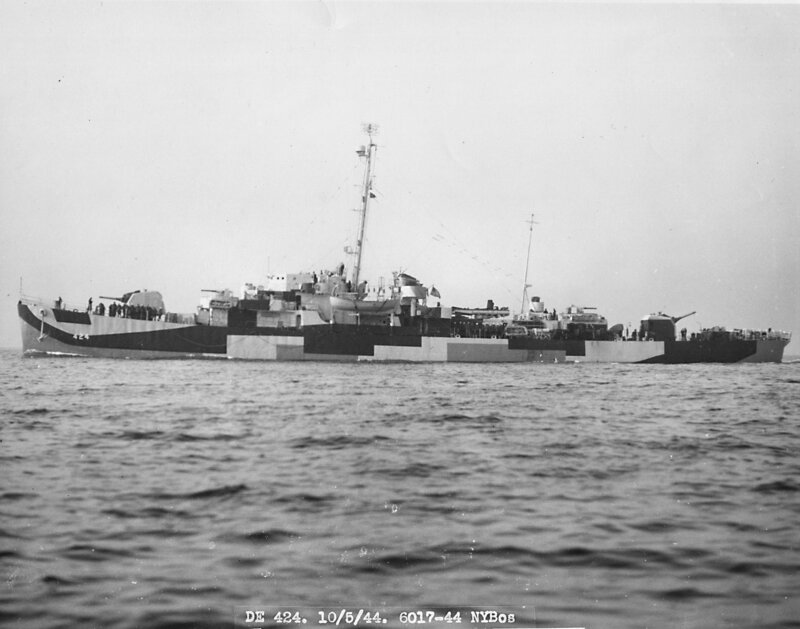 19 May 1951: Recommissioned at San Diego, Cal. May 1951: Assigned to NRT, 8th Naval District at New Orleans, La. 24 January 1958: Decommissioned at Charleston, S.C.
244k John William Haas was born 14 June 1907 in Sioux City, Iowa. A member of the famed Torpedo Squadron 3, the chief machinist and pilot was lost in action 4 June 1942 during the Battle of Midway. In the face of tremendous anticraft fire and Japanese fighter opposition, Chief Haas joined his squadron in pressing home the attack on enemy forces until it became relatively certain that in order to accomplish his mission he would sacrifice his life. Undeterred by the grave possibilities of such a hazardous offensive, he carried on with extreme disregard for his personal safety until the gallant planes of Torpedo Squadron 3 had diverted Japanese planes and contributed importantly to the victory. 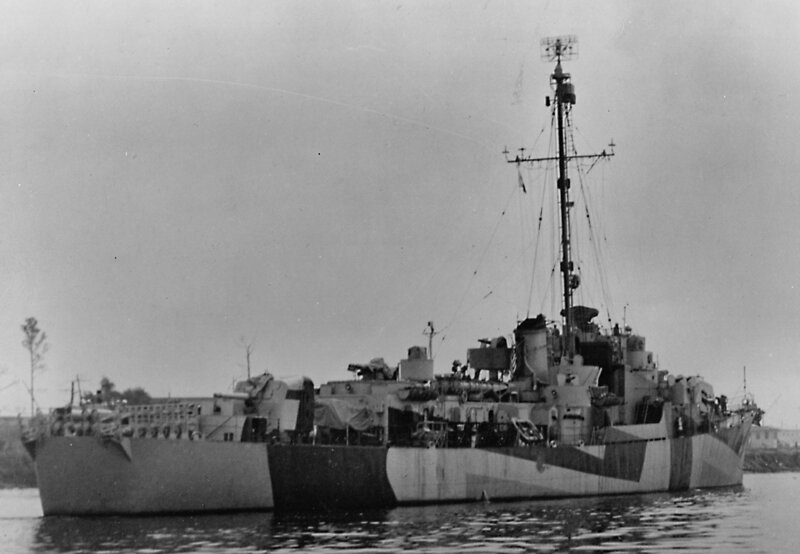 For his self-sacrifice and valiant fighting effort, Chief Machinist Haas was posthumously awarded the Navy Cross. 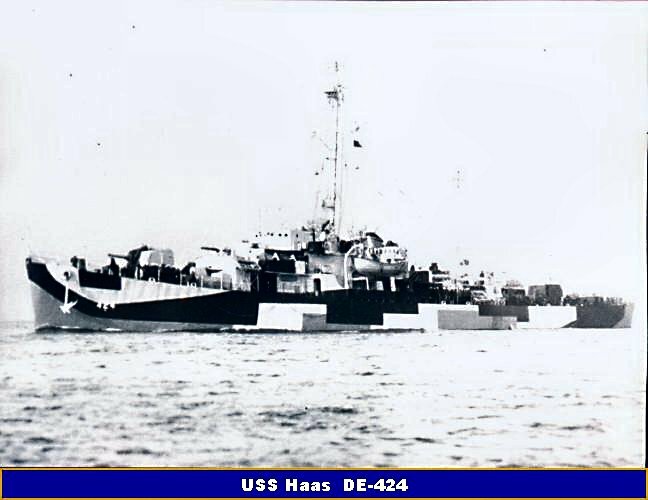 USS Haas (DE 424) (1944-1958) was the first ship to be named in his honor. 181k 7 August 1944: Houston, Tex. located on the US Naval Historical Center web site.